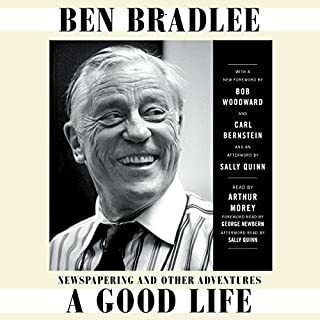 This is the witty, candid story of a daring young man who made his own way to the heights of American journalism and public life, of the great adventure that took him at only 20 years old straight from Harvard to almost four years in the shooting war in the South Pacific and back, from a maverick New Hampshire weekly to an apprenticeship for Newsweek in postwar Paris, then to the Washington Bureau chief's desk, and finally to the apex of his career at The Washington Post. In the early 1970s, Katharine Graham was one of the most powerful women on earth. As the publisher of the Washington Post, she published the Pentagon Papers, which shed light on the darkest corners of the war in Vietnam, and she oversaw the investigation into Watergate that would bring down President Richard Nixon. Her story is one of the greatest triumphs in the history of American journalism, but she may have had a secret ally: the Central Intelligence Agency. In this stunning biography, veteran reporter Deborah Davis unearths the truth about the Washington Post and the family that ran it. The captivating inside story of the woman who helmed the Washington Post during one of the most turbulent periods in the history of American media. 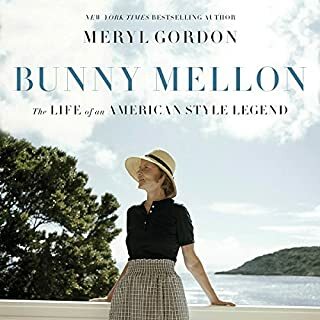 Here is the awkward child who grew up amid material wealth and emotional isolation; the young bride who watched her brilliant, charismatic husband - a confidant to John F. Kennedy and Lyndon Johnson - plunge into the mental illness that would culminate in his suicide. And here is the widow who shook off her grief and insecurity to take on a president and a pressman’s union as she entered the profane boys’ club of the newspaper business. As timely now as ever, Personal History is an exemplary record of our history and of the woman who played such a shaping role within them, discovering her own strength and sense of self as she confronted - and mastered - the personal and professional crises of her fascinating life. 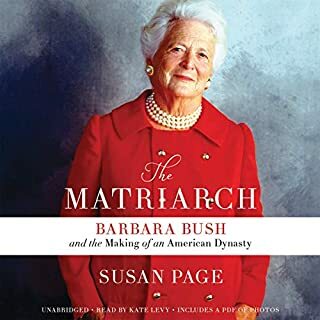 I have been curious about this book for years, and decided to listen to it when I learned that the film about The Pentagon Papers would soon be released, with Meryl Streep in the role of Katharine Graham. I'm glad that I learned more about this impressive woman, who was born into wealth and knew famous people all over the world, but who never came across as a snob. She seemed like a person who was truly interested in other people and deeply valued her relationships, both personal and professional. I appreciated learning about the strong values of her father, who started The Post, and how Ms. Graham carried those forward with years of hard work. She was very honest and open about her insecurities as a woman and wife, balancing her personal and work life, her husband's bipolar illness, and the struggles of being a woman in what was then a man's field. The ways she was stereotyped, vilified, and held to a double standard reminded me strongly of what Hillary Clinton has endured. This was a history lesson, particularly about the earlier days of the publishing business and how it developed as technology changed. I enjoyed hearing about the behind-the-scenes unfolding of the Pentagon Papers publication and Watergate. It turns out that she played a much larger role in deciding about the coverage of these events than was portrayed in All the President's Men. 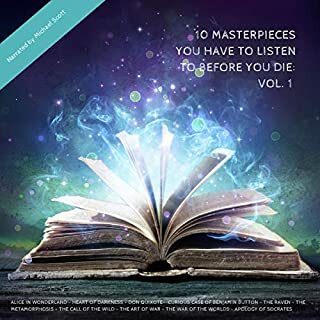 Although this was a lengthy audiobook, it kept my interest throughout. 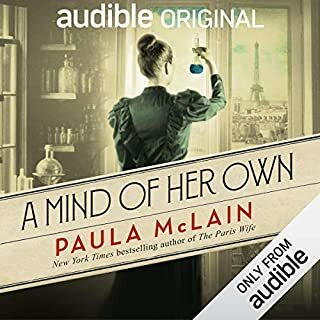 The narrator's voice is appealing, and was perfect for this book. I was dismayed, however, at a few mispronunciations, though this was not overly distracting. I hope that younger women will listen to this book in order to gain a greater appreciation of what woman in previous generations had to deal with in the workplace, though I believe that this book has appeal for a wide audience. K's family's wealth is hard to imagine. Reading this in 2018 made me wince many times a her own stereotypical comments about women, even though she is fully aware of the unfairness of stereotypes. I also believe Martin Luther king is only mentioned once in one sentence. How she could not spend more time on the civil rights revolution that occurred during her time is very telling about her exposure to the community of Washington DC in which she lived. She was a highly out of touch elitist, but she did have an interesting story to tell. Spoiler Alert: Excellent writing about an amazing life! Katharine was a torch bearer for women. She faced her husband’s suicide with such courage, and she went on to lead The Post with God-given talent and humility. She never stopped learning. I would have loved to have her as a friend. Well read fascinating story of a life well lead. The span of years and experiences kept me listening. lots of detail, but not uninteresting. So very glad Kaye Graham exists and wrote about her life. A great piece of history and well told! 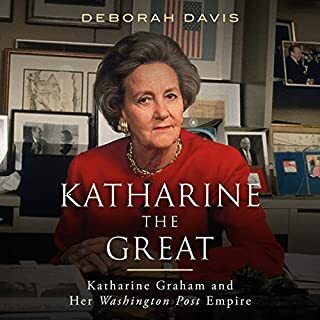 So well written with absorbing details of what she was feeling and thinking as Kay Graham was living and influencing US history at its core in DC. This is an important story, and quite compelling...but it is over 30 hours long. 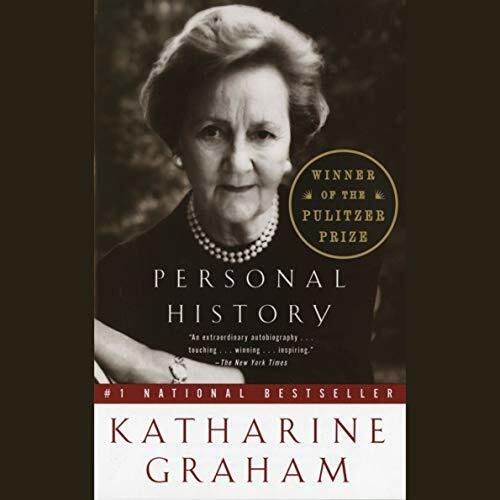 The nonchalant way that Kay Graham describes her upbringing and adult life is engaging--and belies the fact that the connections and friendships she made along the way included every powerful person in America. It put several pieces of history in perspective for me--and the anecdotes about LBJ, Kennedy and others are unique to this history, and quite illuminating. She might have done a better job of integrating how she managed to raise her kids throughout their childhood. Also, she seems to have managed being married to a man with a dual diagnosis (alcoholism and bipolar disorder) without much help or understanding. The narrator was perfect, BTW. an interesting walk through the second half of the 20th century and the attitudes and insecurities of woman in Big Business in the 70s. very long, detailed, but interesting. It enlightened me to events, people, the press, and personal battles. The name dropping got tedious, as well as mentioning people who did not affect the outcome. Her reasoning of documenting her husband's life accomplishments and battles was justified.